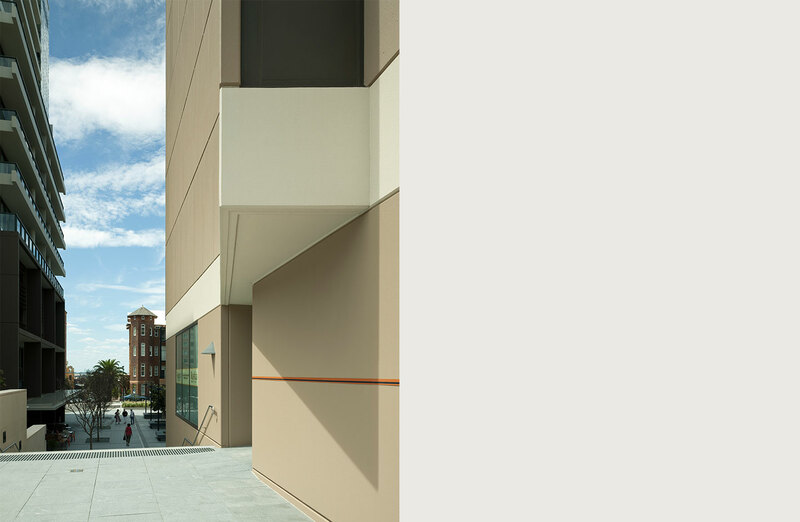 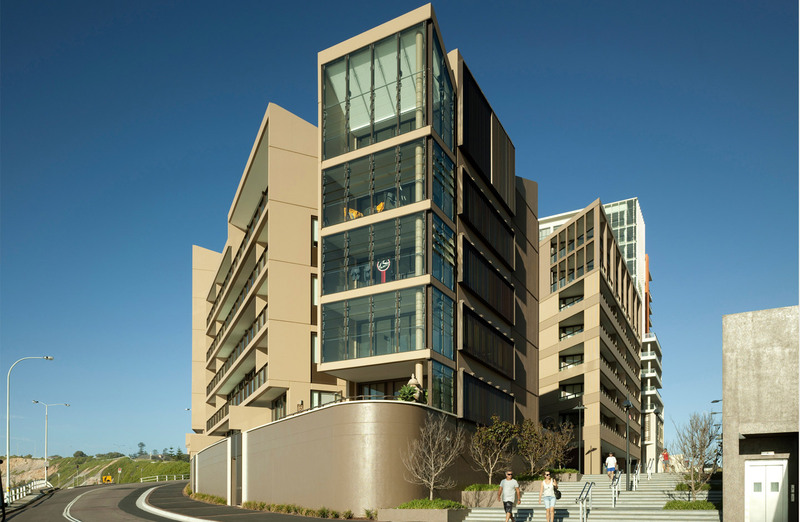 ‘The Royal’ is part of the redevelopment of the Royal Newcastle Hospital Site that commenced with the successful adaptation and extension of the North Wing building and the construction of the York Wing building designed by Tzannes Associates. 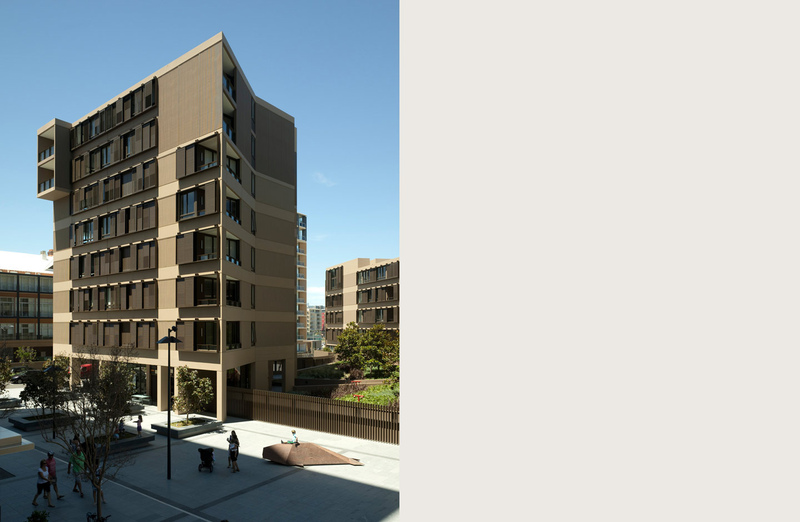 Following this development the adjacent site was subject to a Part 3a master plan and an invited design competition and commercial offer. 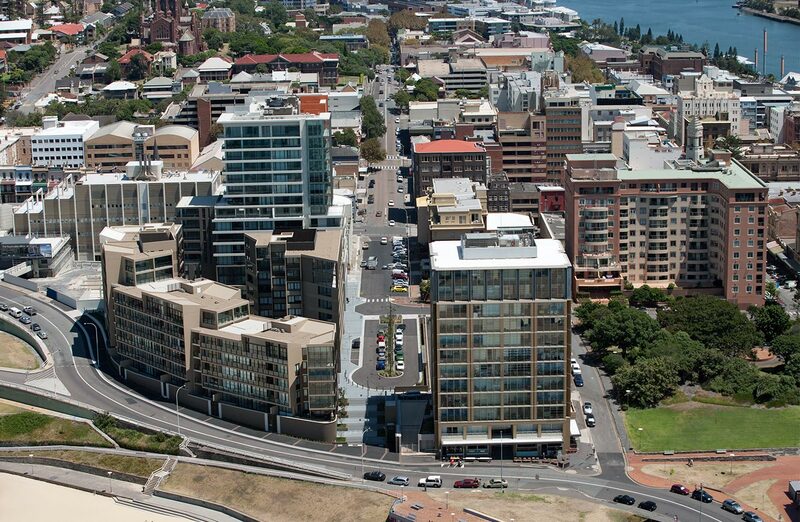 The competition was won by Mirvac with the architects (Mirvac Design and Tzannes Associates) proposing significant modifications to the master plan including the relocation of the proposed public square to make it integral to the new pedestrian links from the city to the beach and from Pacific Park to Fletcher Park. 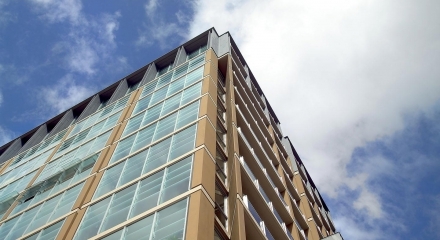 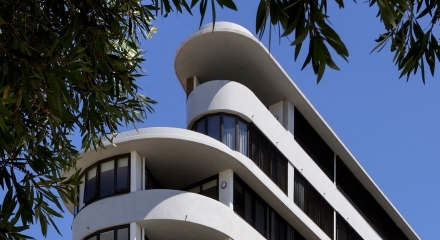 Of the three buildings, Tzannes Associates were responsible for the Nickson Wing, along Shortland Esplanade and the Hannell Wing at the intersection of King and Pacific Streets. 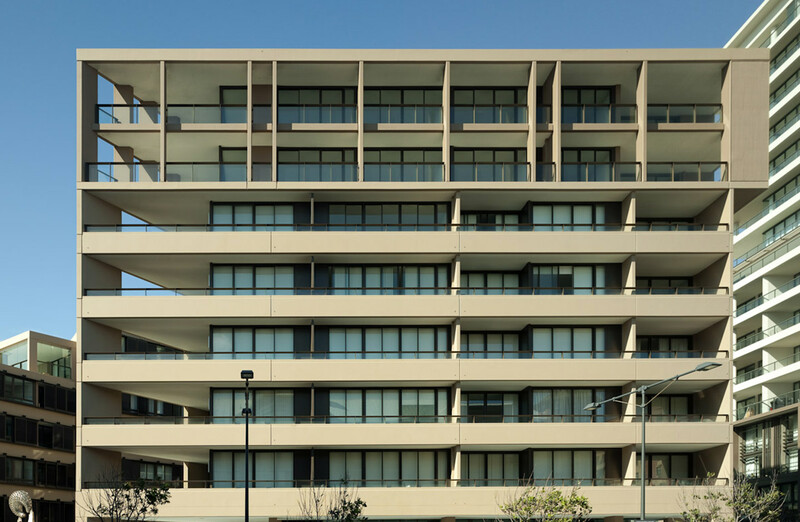 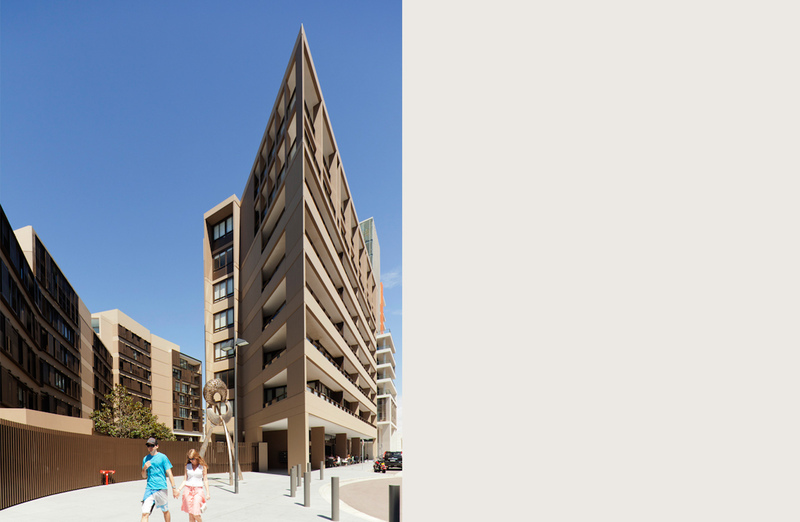 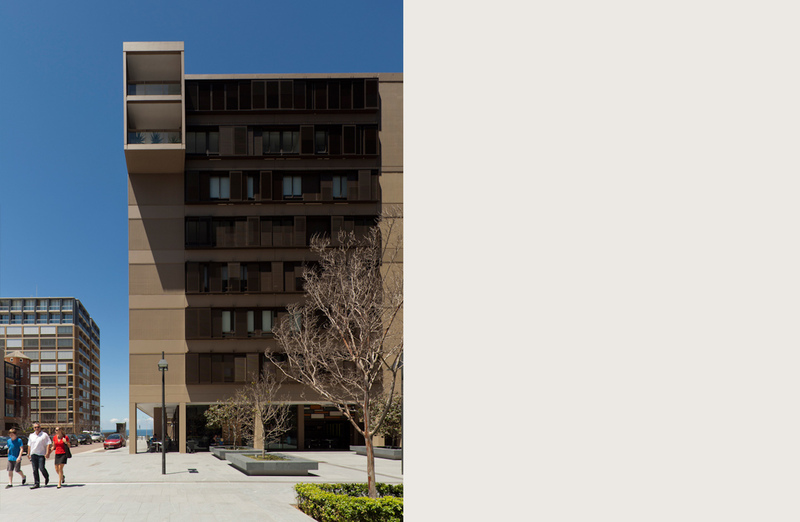 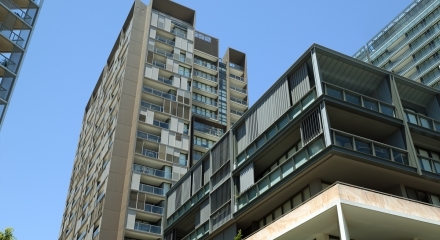 The Nickson Wing consists of a basement car park behind a landscaped wall with the apartments floating above and articulated into distinct elements that rotate and change in height to reflect the changing topography. 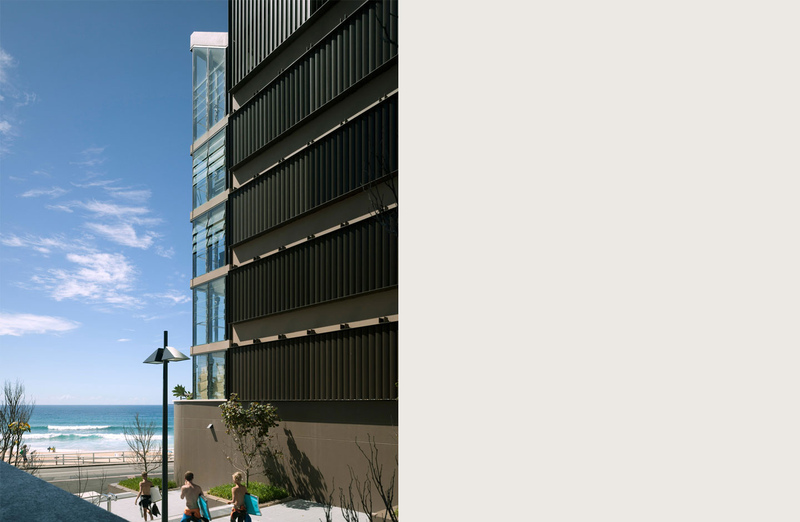 Full height glazing and balconies to the south east take advantage of the views over the beach, while the north western elevation intersperses bands of operable shutters with concrete spandrels controlling both direct sunlight and privacy between the buildings. 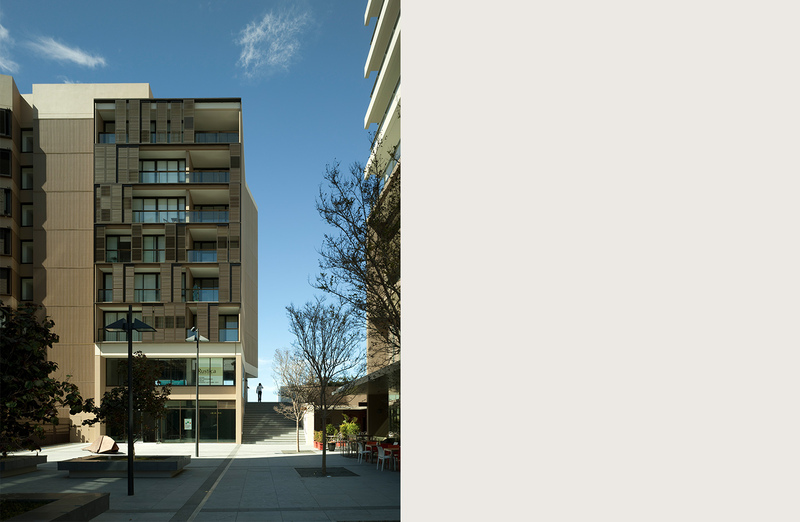 The Hannel Wing responds to three distinct uses: the ground level retail uses have a larger urban scale; the mid section consists of the smaller apartments whilst the double height top section contains the higher value apartments that have access to views. 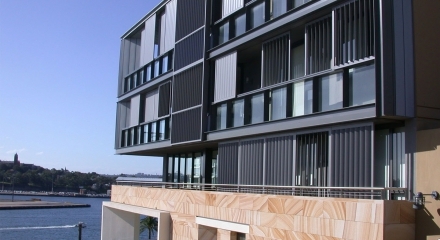 The south eastern elevation is strongly folded to maximise separation and minimise direct overlooking from the Nickson Wing.